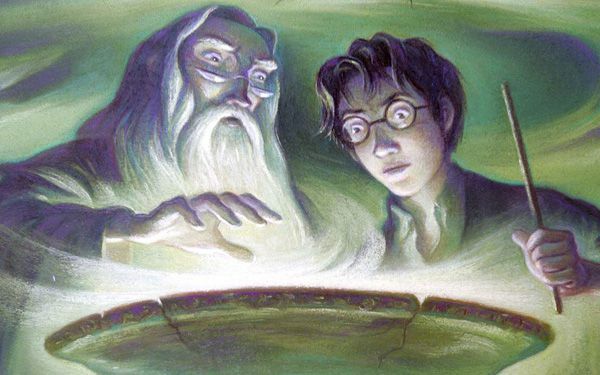 Its been almost 20 years since Harry Potter was introduced to the world. And the boy wizard is still fighting the forces of evil. Of course, it's all in the imaginations of millions. But Harrys victory over the evil Voldemort may not be limited to the pages of a book. This is according to a new study. A group of Italian psychologists has been studying Harry Potter. They believe that children who identify with Harry might develop greater empathy and tolerance toward people from different backgrounds. Those include refugees, immigrants and gay people. This is according to NPRs Shankar Vedantam. And it might be thanks to Harrys unhappy childhood. Peppered throughout the stories are references to the fact that Harry wasn't brought up in the aristocracy of wizard life, Vedantam says. At the same time, many wizards in the story came from much more privileged backgrounds. They turn out to be the villains of the story, according to Vedantam. Harry eventually escapes his life among normal people. (They are called muggles by his fellow wizards). He quickly discovers that the wonders of the magical world still hide prejudice and bigotry. Only behind wands and robes. By experiencing the world through Harrys eyes, the psychologists think that perhaps readers may become more attuned to people who often struggle in the real world. The researchers tested three groups of young people. They were taken from elementary school-age through university students. The Potterheads were more accepting of stigmatized people. But while the researchers used Harry Potter as a benchmark, Vedantam says it might say more about how a good story changes the way you think. When stories allow us to empathize with people who lead very different lives or come from very different backgrounds, it allows us to get into their shoes in a way that no amount of preaching can accomplish. While it may look like Harry Potter could fight prejudice in the real world, the study doesnt say whether listening to Draco and the Malfoys has the opposite effect. Critical thinking challenge: Why did psychologists study Harry Potter instead of other books? This article was about the possibility of reading Harry Potter and it making you a better person. Studies show that people who read Harry Potter were more likely to be tolerant of other groups such as gays and immigrants. This study was conducted by Italian psychologists. People may become more empathetic from reading this because of the troubled conditions in which Harry was brought up and so that would make them be more empathetic towards others in real life. A group of Italian psychologists has been studying Harry Potter. they believe that reading the series as a kid may develop greater empathy and tolerance from people from other backgrounds. They tested three elementary student group tame the "Potterheads" were more accepting of others. According to a new study, Harry Potter's success in defeating Lord Voldemort has traveled far beyond just the pages of a book. A group of Italian psychologists have been studying harry potter and the effect the books might have on kids. They have discovered that a child who reads harry potter may be more empathetic towards people with different race, or social class. They believe that the reason kids may become more empathetic is because of Potter's difficult and terrible childhood. 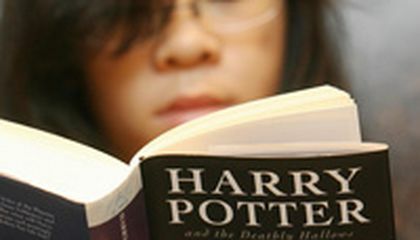 This is a very unusual article, Italian psychologists have discovered that reading Harry Potter can cause children to become more empathetic. Mrs.Martinez! This artical was terrific! I think this because I have been feasting on book 1!But,I have never heard such interesting things about the Harry Potter series! Me and my brother kind of like the books. I've been reading and rereading the Harry Potter series ever since I was a little girl. However, I never realized how much you could learn about life from them, and considering how long I've been reading them for, I should be a pretty awesome person. Harry Potter is an excellent book series, and studies show it has improved children's empathy for others. The book has become more useful more than anyone has ever thought. I think its amazing that their is a children book that is used to help children. This makes its a ton easier to help children and their young minds. I've never read the series but I sort of want to. I have only seen one or two of the movies and they were good. When I was little I would pretend I had magic powers and stuff. A lot of my friends have read the whole Harry Potter series, so I kind of want to read them, too. Plus, apparently it makes you smarter and stuff. In this article you are not reading Harry Potter me to make you better person this is because so mean go to relate to the book Harry Potter I love the series and hope more people get to read it I think it would make you a better person.